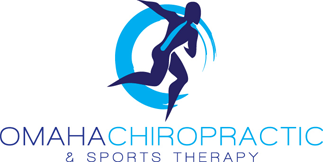 Our chiropractic office is located in West Omaha, the leading health professionals at Omaha Chiropractic and Sports Therapy are dedicated to helping you live an active and pain free lifestyle -- combining skill and expertise that spans the entire chiropractic and rehabilitative spectrum. The doctors of Omaha Chiropractic And Sports Therapy are committed to bringing you better health and a better way of life by teaching and practicing the principles of chiropractic care. Back pain, neck pain and headaches. Numbness, tingling, burning, achy symptoms in the hands and feet. Sciatica, disc injuries, leg pain. Sports related injuries that occur in the spine and other areas of the body. With a long history of treating professional and amateur volleyball, hockey players, baseball, basketball players and CrossFitters, We have the experience to get the job done. If you are new to our website, please feel free to discover and learn about chiropractic care. You'll find that we can treat more than a bad back or neck. If you are interested in starting your journey towards wellness please subscribe to our award winning newsletter. You will receive tips and ideas how to live a life free from back pain and neck pain. If you are already a newsletter subscriber, please explore the member section of our website for articles, resources, and health facts---specifically targeted by the doctors of Omaha Chiropractic and Sports Therapy to your health needs and interests. Dr. Clements was born and raised in Tekamah, NE. He attended the University of Nebraska in Lincoln where he earned a bachelors degree in Biology. Dr. Robbi is a native of Omaha, NE. She received her Bachelors at the University of Kansas and her Doctorate of Chiropractic at Northwestern Health Sciences in Minneapolis, MN. He received his Bachelor's degree in Exercise Science from Creighton University where he was also a member and Captain of the Bluejay baseball team. 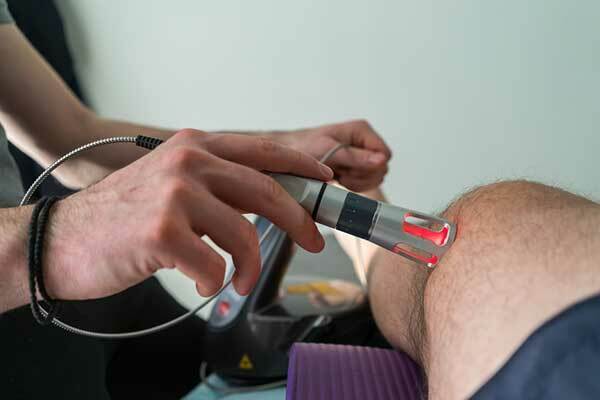 Laser therapy is a treatment that utilizes specific wavelengths of light to interact with tissue and help accelerate your healing process. Physical therapy rehabilitation uses mechanical force and movement to improve mobility, function, and even quality of life. Words can not express how grateful I am to Dr. Long and her care of me. I had numbness in my left arm. Surgery was what was suggested. Dr. Long was at our Health Fair at work and she said she could help... and she did! No numbness- No surgery! I see her every month. No words can express how wonderful she is and what a great doctor she is. Dr. Clements is an extremely professional and caring person. When I first cam into the office, I was in excrutiating pain. Both feet were in extreme pain and I could barely walk or stand. Through Dr. Clements' perseverance, treatments and therapy regimen, I am now able to stand, walk, and continue with my daily routine without pain. I was sure if anything would help with the pain when I first started treatments, but I am now an extremely happy and satisfied patient. Dr. Clements and his staff are extremely kind, caring and friendly. Thank you Dr. Clements! I came in with severe foot pain from plantar fasciitis and Dr. Bird has done wonders fro my pain. And the "K-Laser" is a wonderful tool. Dr. Bird is always professional and easy to talk to and the staff up front always have a smile on their face and are up-beat. They all show great patience and care.